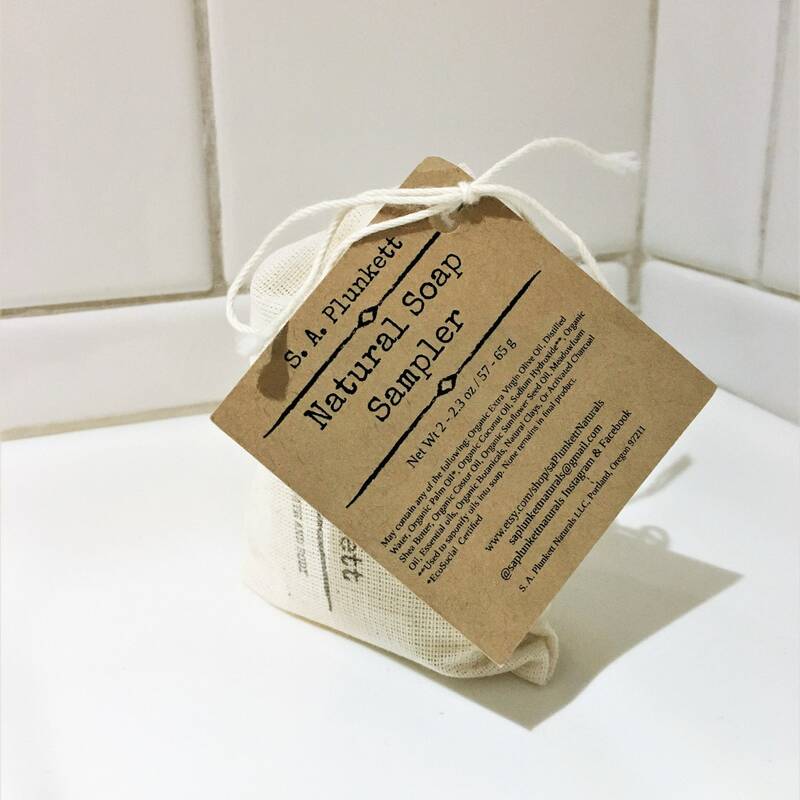 You never know what surprise soaps will be packed inside this little cotton bag. 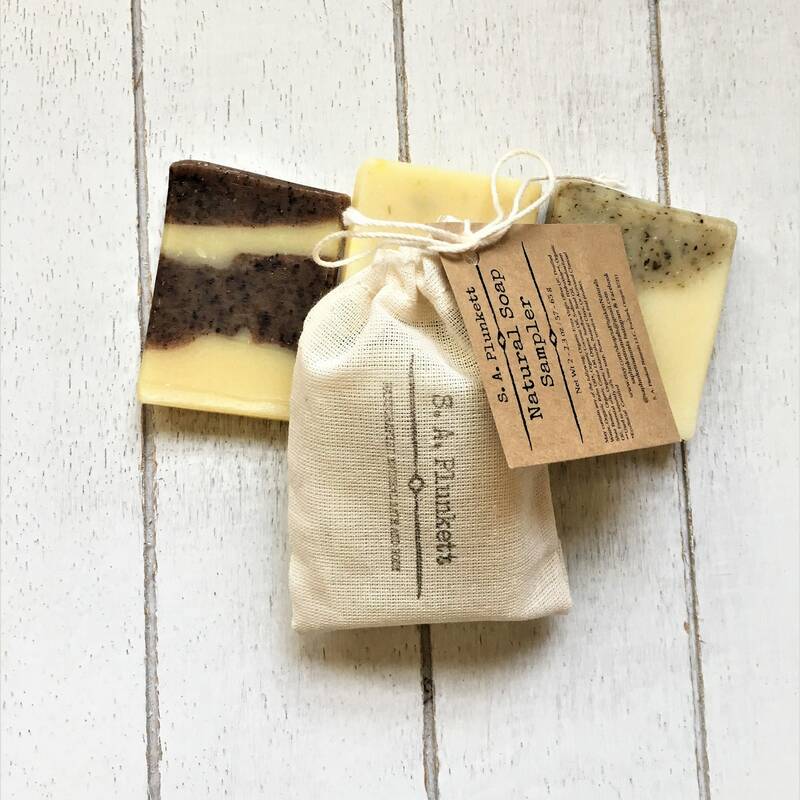 Perfect for traveling, gift giving, or guests, each bag is thoughtfully packed with three to four different handcrafted, artisan soap samples. 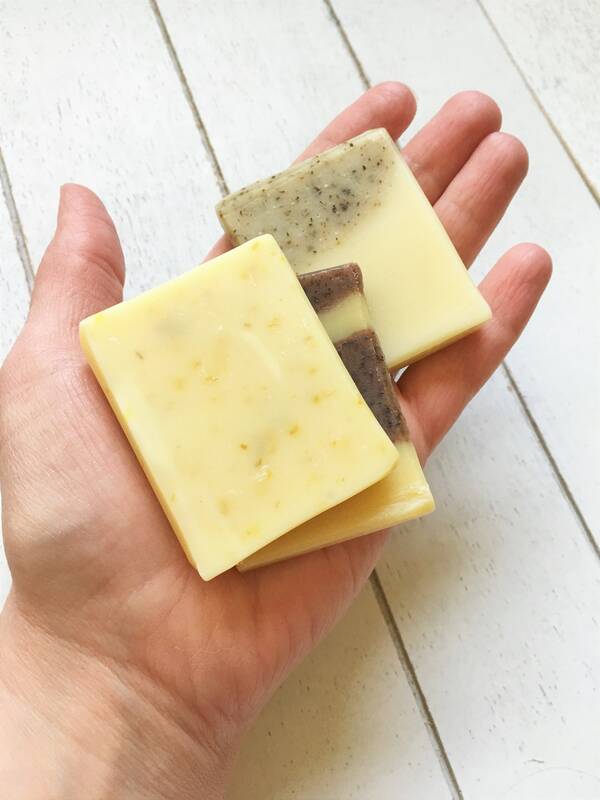 Only the highest quality, responsibly sourced natural and organic ingredients are used, including EcoSocial Certified, Organic Palm oil along with other certified organic oils and botanicals and pure essential oils. 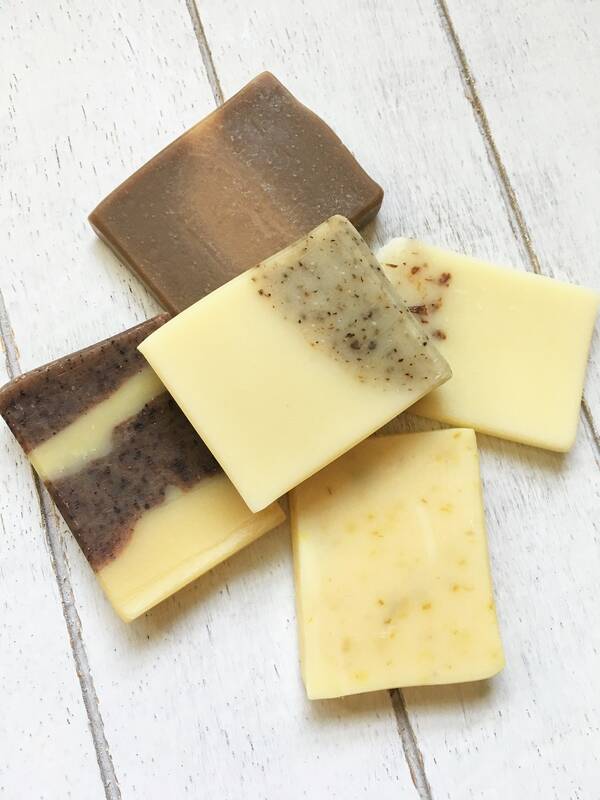 These gentle soaps have a wonderful lather and soft, natural scent from pure essential oils and the ingredients themselves. This was great! For Christmas I used these mini bars and felted them with wool for gifts. 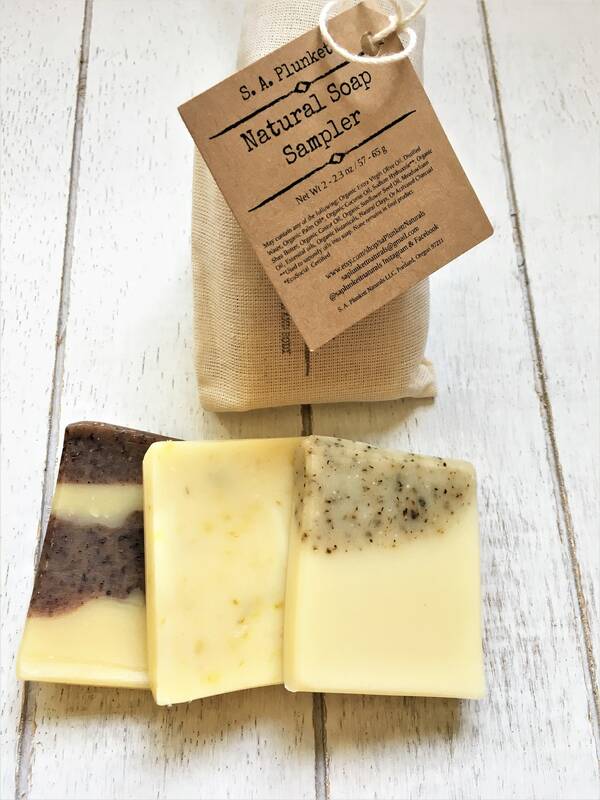 They are the perfect size for tiny gifts and they all smell wonderful (though not overpowering).